I was here: Going loco in Costa Rica! – Go ask Alisa – DIY capsule wardrobe one stitch at a time! 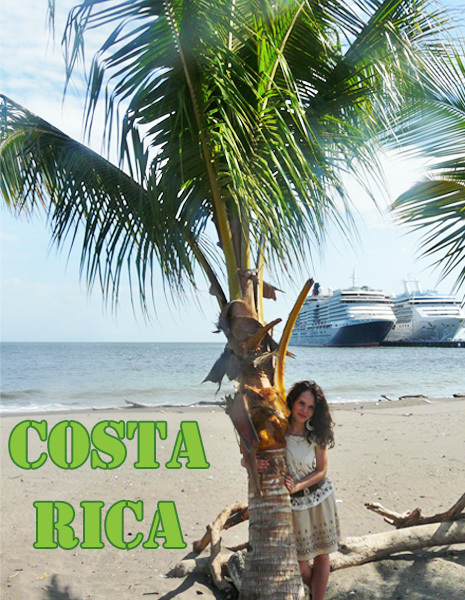 I was here: Going loco in Costa Rica! Speechless and silent, mesmerized I was walking along the beach line in Costa Rica. Million miles away from home, on another continent, absolutely alone – it was the day when I turned 21. To be precised – it was 6th of March. Day when the World saw Michelangelo and Nicolai Rimski-Korsakov, and me too. First step I took on this shutter land made me feel like an explorer, like Columbus discovering something that no one have ever seen before. Palms, ocean, unseen flora and fauna, weird animals, local cuisine and unbelievable amounts of coffee! I was surprised and astonished by diversity of this country, I was lucky enough to explore both sides: poor and rich, the contrast I saw made me feel for this country. My visit to Puntarenas was short but very intense. If to be honest, it is hard to forget Costa Rica – that place has a charm, maybe even magic to it! Or maybe it was my birthday that made me feel so special. You should see this other world, across the ocean, world that is out of our stereotype zone, out of our comforting apartments and houses, out of everything we are used to and into our basic instincts and nature. One way or another – my life was (is) one-hell-of-adventure, crazy, twisted and barely controllable, but that is life. Isn’t it? 1) Go local – explore “farmers markets”. I know – most of you will head to Costa Rica for luxury hotels and villas – fair enough. Must I remind you that any kind of leisure destination is mostly artificially made to feed the tourism flow in the country, most of these leisure centers are not owned by local authorities. If I were you – not far away from Calderas (port that is located in Puntarenas) there is a strip of local trinket markets. Go explore and you wont regret it! Everything from spirits and coffee to wooden antiques and souvenirs. 2) A bit further away from markets – not too far away though, you will find some amazing food court! And say “YES!” to this great variety of sea food! Oh my… Words can not deliver the amusement I had when I was tasting all the deliciousness. 3) If you have a chance – jump in for the rainforest adventure. Some amazing places are waiting to be discovered, untouched nature, virginity of forests will leave you speechless! Next Next post: DIY: Bare bottoms welcomed here!